From the very first day when the idea of introducing the Communications Tax Bill was made public on both floors of the Senate and the House of Representatives, Nigerians spoke with one voice, condemning the bill, which seeks to increase tax on telecommunication services by additional nine per cent. They have since then, called on the law makers to drop the idea in the interest of Nigerians, describing it as anti-people bill that is capable of increasing tariff of telecommunications services. They also described the plan as a move by the federal government to negate the vision of the International Telecoms Union (ITU), which had proposed to African countries to make telecommunications services, including broadband access, a priority and constitutional right for all citizens. At the recently concluded GSMA Mobile 360 Africa in Tanzania, which focused on accelerated access for a digitally inclusive society within the African continent, the forum condemned government policies that are inimical to easy access and connectivity and called on African governments to amend such policies in a way that will benefit telecoms growth across the continent. The proposed Communications Tax Bill is one of such policies that the forum frowned on. However, Nigeria, the most populous country in Africa is pushing an anti-people’s bill, at a time when the globe is preaching deeper connectivity in the telecoms sector. 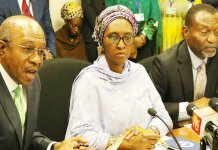 Disturbed by the consequences, which the bill will likely bring upon subscribers of the Nigerian telecoms sector and other sectors that are dependent on telecoms services, the Lagos Chamber of Commerce and Industry (LCCI), last week in Lagos, held a forum to debate the proposed Communications Tax Bill. Both the Senate and the House of Representatives had since February this year, introduced the Communication Service Tax Bill and it has scaled through the first reading. The bill seeks to impose a nine per cent tax on electronic communication service fee charged by service providers. Section 2 of the bill provides that the bill shall be levied on the electronic communication services supplied by service providers in the areas of Voice calls, SMS, MMS, Pay per View TV stations and Data usage. According to a document released by PricewaterhouseCooper (PwC), Telecommunication services providers and internet service providers, including subscribers, will be affected by the bill if passed into law. The tax will be charged by the service provider in addition to the electronic communication service fee. The rate will be nine per cent of the service charge for the use of communication service. The Federal Inland Revenue Service (FIRS) has been mandated to take full responsibility for the collection of the tax. FIRS will pay the tax collected together with any interest and penalty into the federation account. The federal government will be responsible for the administration and management of the funds. If passed into law, all telecoms service providers are to file tax returns and pay the tax due not later than the last working day of the month immediately after the month to which the payment relates, and there shall be penalties for non-compliance, which will attract N 50,000 for failure to file returns on due date and a further N 10,000 for each day the tax returns is not submitted. Stakeholders present at the LCCI forum in Lagos condemned the proposed bill, insisting that its economic implications will affect consumers’ purchasing power, which they said negates the principle of neutrality. They maintained that it would also discourage investment and impede development of the telecommunications sector. 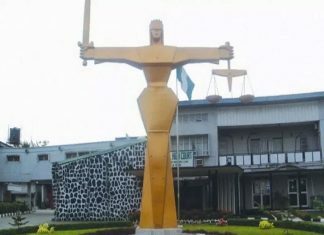 They posited that the bill potentially creates and raises the issue of double taxation since Value Added Tax (VAT) Act already imposes tax of five per cent on the supply of goods and services, calling for the suspension of the bill to allow for the rapid growth of the telecommunications sector in line with the Nigerian National Broadband Plan. Presenting a paper on the topic: ‘Dialogue Session on the Proposed nine per cent Communication Services Tax Bill’, the President of the Association of Telecoms Companies of Nigeria (ATCON), Mr. Olusola Teniola advised the law makers to listen to the voices of Nigerians, who have outrightly opposed to the bill because of its anti-policy position, and immediately trash the bill. “ATCON’s position is that whatever we are doing as a nation must not be done to deter investors from staking their hard earned money on the Nigerian telecommunications businesses; in other words, our policies must continue to be investment friendly. It has been established that revenue from voice is still significant and it must be stressed that the investment that is required to deepen the penetration of broadband in Nigeria is much greater than the one we used to provide voice telephony. 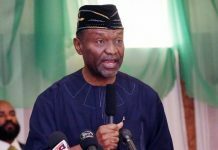 In view of this, the said Communications Service Tax Bill should be stepped down so as to encourage investors and make the sector more attractive for foreign direct investors,” Teniola said. He further explained that ATCON considers the bill unnecessary and prohibitive because the operators in the sectors are already faced with multiplicity of taxation. Although the stakeholders believed that taxation is one of the many ways through which governments all over the world generate income to be able to discharge their duties to the citizens, they, however, said that taxes, which are inimical to economic growth, should be discouraged. The National Association of Telecoms Subscribers (NATCOMS) is already conducting and online opinion poll on the issue, and majority of Nigerians are opposing the proposed bill. 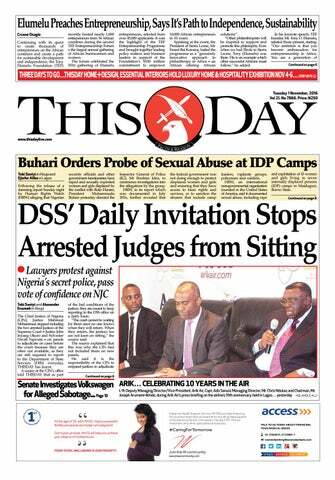 President of NATCOMS, Chief Deolu Ogunbanjo told THISDAY that the subscribers would drag the National Assembly members to court, should they continue to push for the passing of the bill. 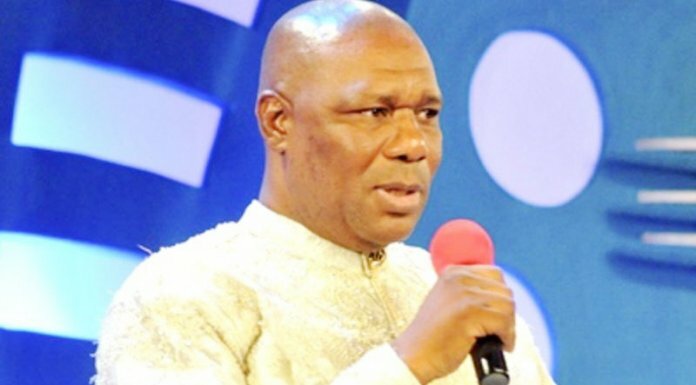 The President, LCCI, Chief Nike Akande, acknowledged the fact that the government is seeking to diversify its revenue base in the light of the dwindling oil revenue, but stressed that the private sector players would like to see an investment friendly tax environment, especially in the light of the prevailing high cost of doing business in the country. She said the ICT sector is very strategic to sustainable growth and development, adding that the sector has witnessed an impressive growth over the last one decade. She quoted the Nigerian Communications Commission (NCC), as saying that Nigeria has become the largest telecoms market in Africa and the Middle East. Partner, West Africa Tax Leader at PWC, Mr. Taiwo Oyedele, said the timing and the concept behind the bill could have been better, saying that making decisions without empirical evidences will only lead to wrong decisions. 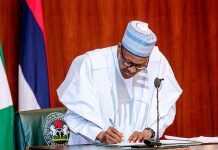 He added that engagement with stakeholders in the industry and the users of the services have not been taken into consideration, saying that stakeholders must give their views before such bill is passed into law. However, the Minister of Communications, Mr. Adebayo Shittu, who was also present at the LCCI forum in Lagos, stated that the bill has commenced legislative process and has passed its first reading. The minister stated that according to many schools of thought, the bill seeks to impose additional charges on users of electronic communication services in Nigeria. He added that the proposed national ICT roadmap is poised to set out the intent and commitment of the government to continue the development of the ICT sector and implement the sector policies and plans in an integrated, focused and innovative manner that aligns with the change mantra of the current administration. Shittu pointed out that the present administration’s goal is to provide cost effective, ubiquitous ICT access for overall national development, stating that as government plans to increase revenue, makes the bill worthy of consideration. “I have been reliably informed that the projected earnings from this effort is over N20 billion every month, which is N240 billion yearly and this is an attraction to the government in funding our budget deficits. I must be quick to say that this government has got a human face twined around its decisions,” Shittu said. Following the heightened agitation against the proposed Telecoms Tax Bill, it will be appropriate if the federal government and the National Assembly members listen to the voice of the people who will bear the bulk of the effect of the bill, when it is eventually passed into law.